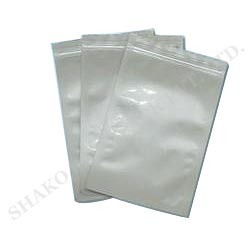 We supply our clients with 3 ply alu laminates that are widely used for light weight packaging applications, with higher shelf life and also used in form of pouch packing. Made with various combinations of aluminium foil and poly, these are known for their glossy appearance, light weight and moisture proof features. To meet the specific needs of clients, we also customized these laminates as per their requirements. Inaugurated in the year 2007 at Mumbai (Maharashtra, India), we, “Alliance Fabtech Pvt. Ltd.,” are renowned as the leading Manufacturer, Exporter, Trader and Supplier of a comprehensive assortment of all types of Pipe Fittings, Factory Shed, Stainless Steel Home Appliance, Stainless Steel Rack, Stainless Steel Railings, Stainless Steel Chair, etc. These products are precisely manufactured using the best quality raw material and contemporary technology under the supervision of skilled professionals in compliance with the set industrial quality standards. Our products are available in various sizes, shapes and other related specifications as per the variegated needs of the patrons. The offered products are highly cherished among clients owing to their unique features like excellent finish, easy to use, low maintenance, unmatched quality and durability. Apart from this, we also provide services like Industrial Fabrications, TOI International Airport and Light Fabrication.